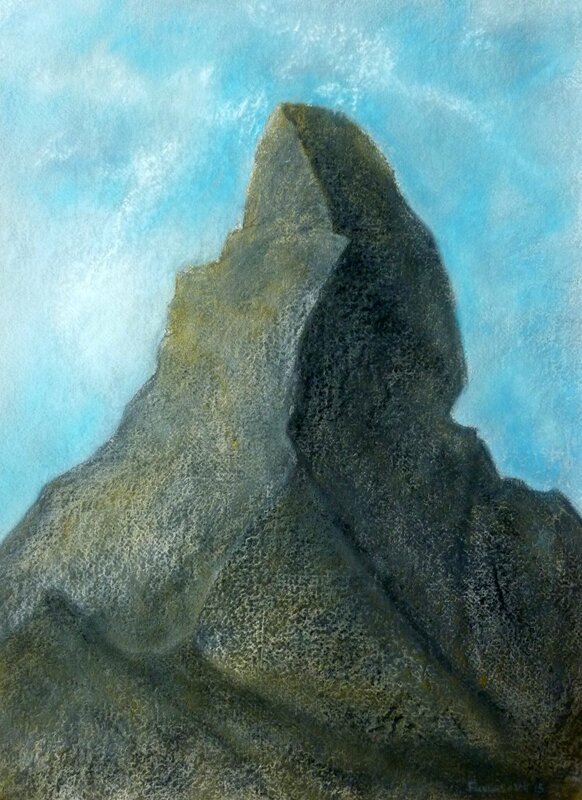 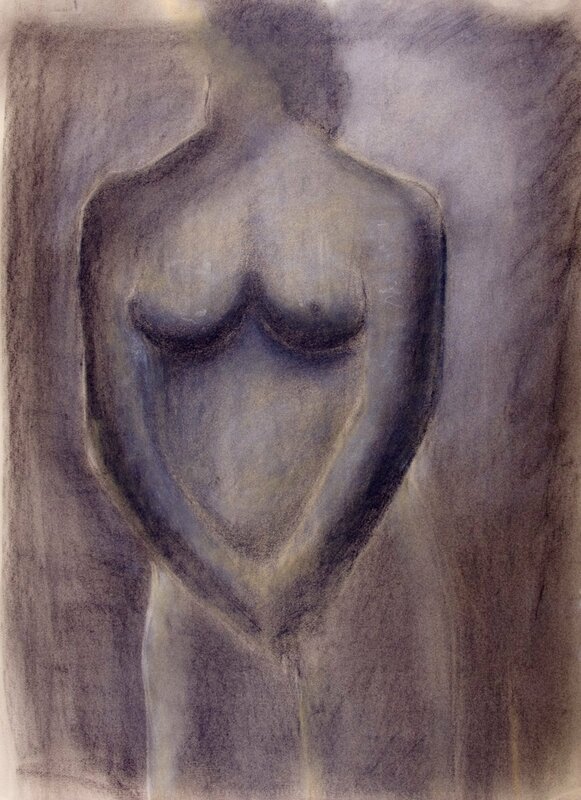 Drawings are a part of my practise, but not necessarily as a preparatory exercise. 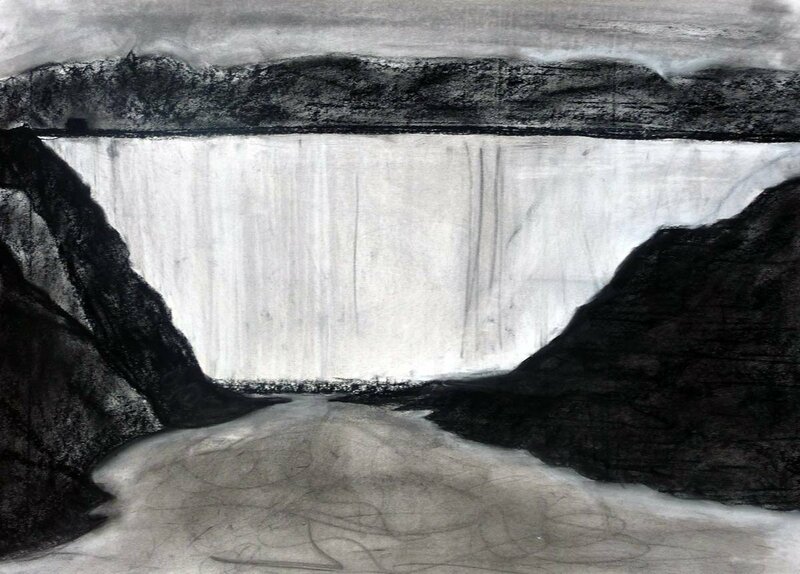 For instance, here, there are a group of 7 drawings made as a direct response to my paintings made after their completion. 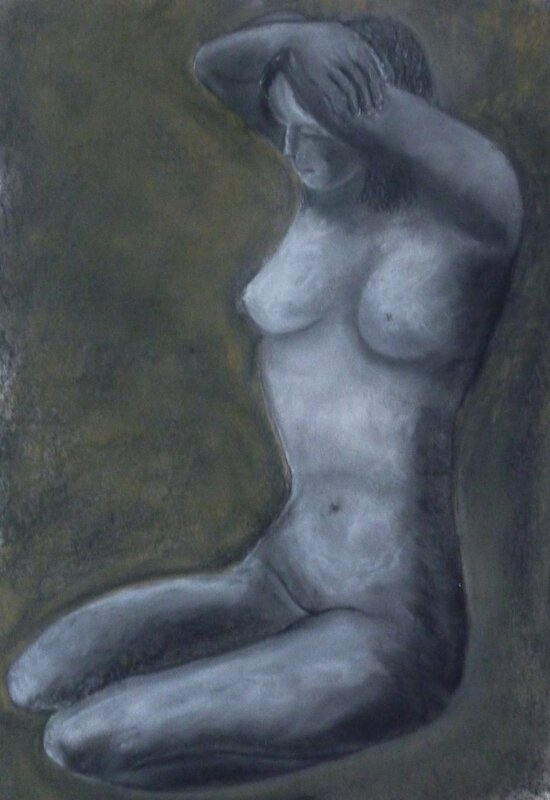 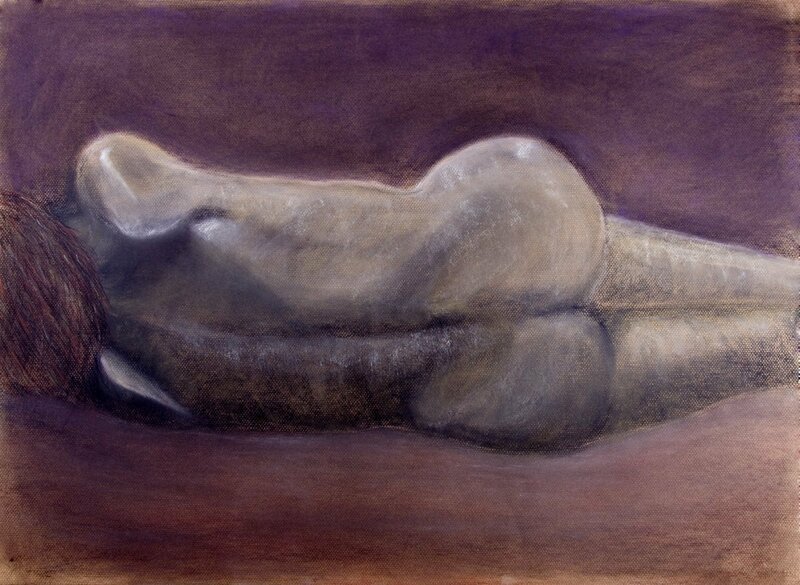 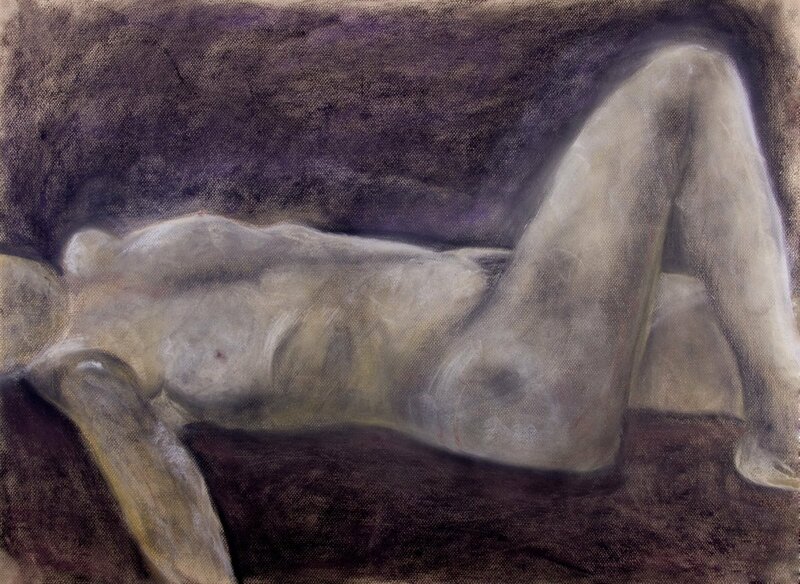 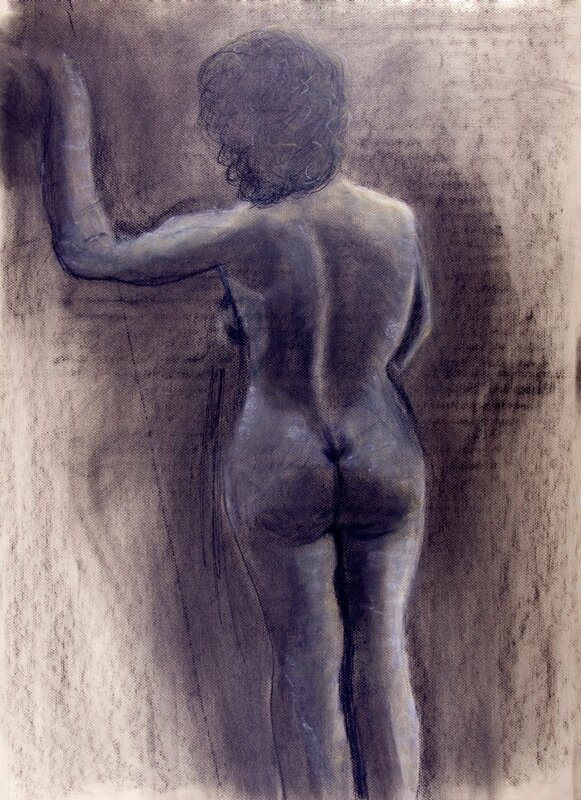 My life drawings are to be seen as an addition to the paintings. 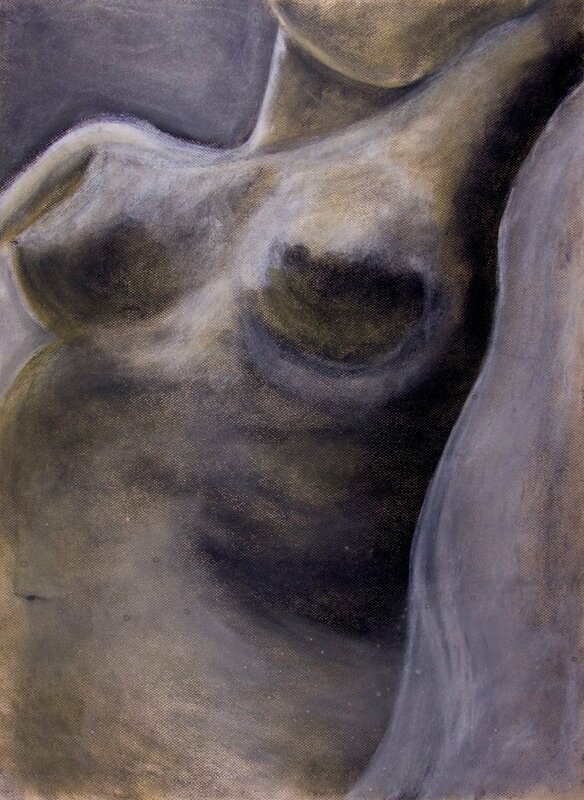 The contours of the human body equal that within landscape. 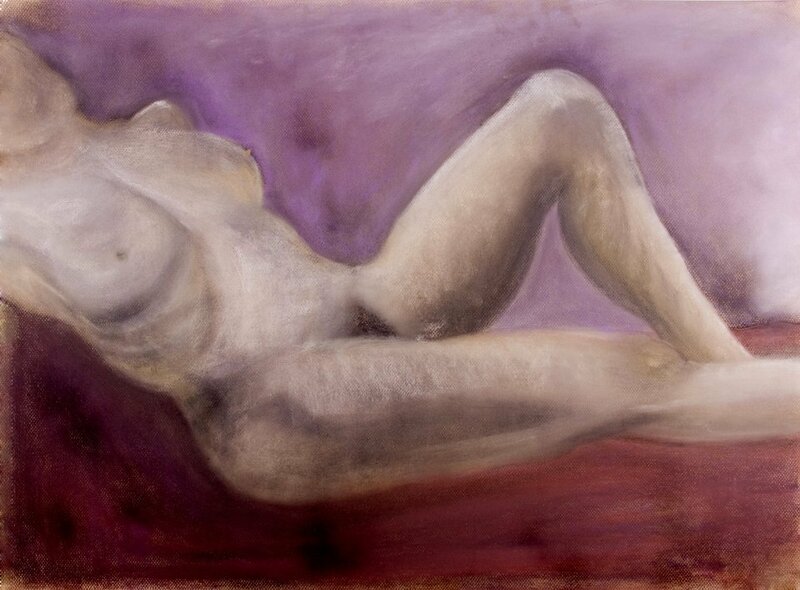 This helps me to understand form and tone, and informs the paintings immensely. 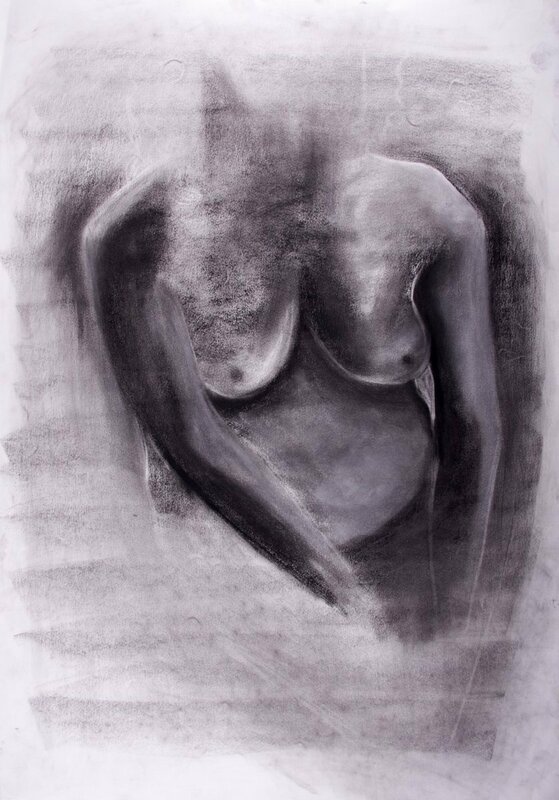 All my drawings are achieved by using black and white conte on paper.